FRANKFURT -- Registrations in Germany fell 3.4 percent in March with the decline in diesel-car sales accelerating after a court ruled that cities can ban vehicles to tackle pollution. 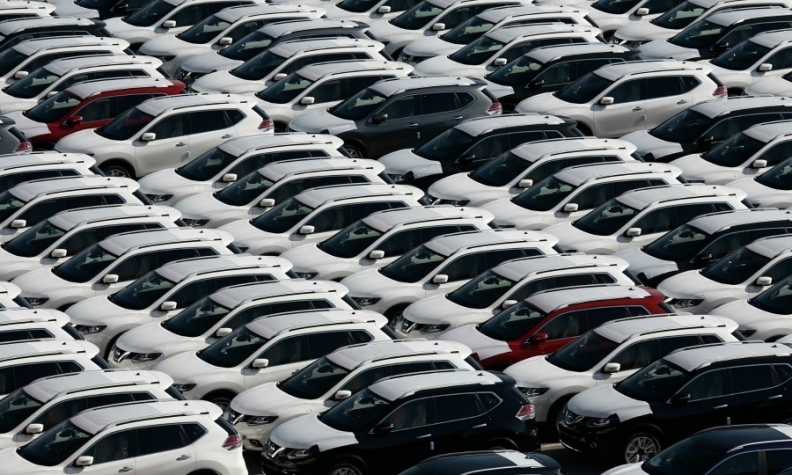 Total market registrations dropped to 347,433, the country's Federal Motor Vehicle Authority, the KBA, said in a statement on Wednesday. Luxury brands were hit by the decline. Audi's sales fell by 13 percent while registrations of BMW and Mercedes-Benz cars both declined by 5.4 percent. Volvo's volume plunged 25 percent. Hyundai and Volkswagen Group's mass-market brands were among marques that bucked the downward trend. Hyundai sales were up 11 percent while Asian rival Nissan gained 8.4 percent. Peugeot sales increased 8.1 percent while Kia gained 2.1 percent and Fiat sales climbed by 1.8 percent. Among Volkswagen Group brands, Seat sales rose 4.8 percent, Skoda sales were up 3.9 percent and VW brand registrations increased 1.8 percent. • Download PDF, above right, for German sales by brand for March. Sales of diesel cars fell 25 percent, giving diesel a share of 31.4 percent of Germany's market. Registrations of gasoline cars rose 9 percent for a 64 percent market share. A court decision last month allowing German cities to make their own decisions regarding banning some diesel vehicles from their streets will likely impact future sales in the market. To stem the plunge in diesel sales, automakers including Volkswagen and Daimler have extended incentives for buyers of new diesel cars. But fears among drivers of possible restrictions and short supplies of vehicles with the latest Euro 6d generation of diesel engines will weigh on sales in coming months, analysts said. "For the time being, new diesel sales will not recover," Peter Fuss, a senior partner and automotive specialist in consultancy EY's German practice, said on Wednesday. "Rather, the downtrend looks set to continue in coming months," he said. Fuss predicted that the share of diesels of Germany's overall auto market would sink towards 25 percent from the current 31 percent. A global backlash against diesel cars broke out after Volkswagen admitted in 2015 to cheating U.S. exhaust tests. The scandal has spread across the industry and boosted investment in electric vehicles. Through March, German sales were up 4 percent to 878,611.